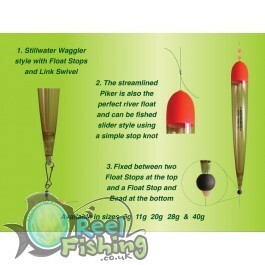 Drennan Crystal Pike Float Piker the slimline Piker Float is ideal for use on rivers, and casting . the float can be rigged via the eye or in line, making it perfect for use with deadbaits. Reelfishing thinks it makes an excellent sea fishing float when fishing for Wrasse or Bass .